Mononucleosis is more than just a germ you share with those closest to you. It’s also linked to other infections—and it stays with you a lot longer than you may realize. You probably first heard of mononucleosis, or “mono” for short, while you were still in high school. You may have never had it yourself, but perhaps you envied (just a little bit) your friends who got it, if only because they got to spend a few weeks at home while you had to keep showing up to class. Despite that tiny stroke of “luck,” mononucleosis isn’t very fun for those that get it. Infectious mononucleosis is a viral infection that spreads from person to person through bodily fluids, such as saliva, which is why it’s sometimes called the “kissing disease.” It’s most common among teenagers and young adults and is often caused by the Epstein-Barr virus, which is a member of the herpes virus family. 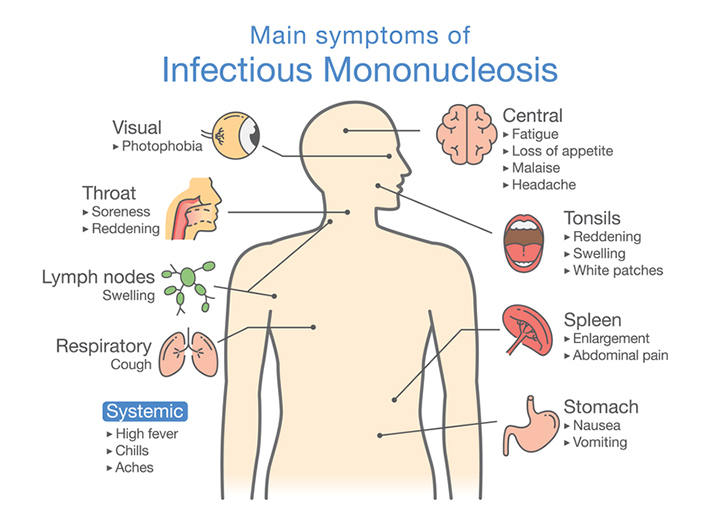 Once a person is infected with mononucleosis, he or she remains contagious from the time of infection until about 18 months after symptoms have subsided. After that, the virus remains dormant within the body for the rest of a person’s life. IS THERE A CONNECTION BETWEEN MONONUCLEOSIS AND THE FLU? According to a recent study conducted by the American Society for Microbiology, there is a connection between the onset and severity of mononucleosis and the T-cells that react to both the Epstein-Barr virus and the influenza A virus, which causes the flu. Researchers studied blood samples from college students after collecting the samples over the past 10 years: 32 with mono and 17 who were healthy but tested positive for the Epstein-Barr virus. Those with severe cases of mononucleosis had 25 times more T-cells that reacted to both influenza A and the Epstein-Barr virus than the healthy cases. Those with mild mono symptoms had 10 times more T-cells than the healthy cases. “If you have a lot of these flu memory T-cells in your tonsils and you get EBV, instead of silently hanging around, it activates those memory cells,” said Liisa Selin, pathologist and study leader at the University of Massachusetts Medical School. Selin added that if young adults could protect themselves from the flu by getting vaccinated, they would be less likely to develop severe mononucleosis after becoming infected with the Epstein-Barr virus. 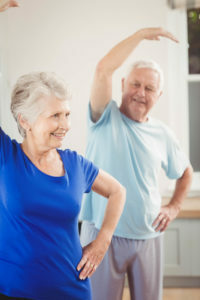 Adults over the age of 40 may not experience all (or any) of these symptoms; however, liver inflammation and muscle aches are more common in this group. If your doctor suspects that you have mononucleosis, he or she will order a complete blood count (to check for changes to your white blood cell count) as well as a monospot test (which is used to detect mononucleosis). Your doctor may also order an EBV antibody test, which detects specific antibodies to the Epstein-Barr virus. There is no cure for mononucleosis. However, symptoms will subside on their own after two to four weeks. Because it’s a viral infection, doctors don’t normally prescribe antibiotics for mononucleosis unless a bacterial infection, such as strep throat, is also present. Get lots of rest and avoid physical activity for at least month after symptoms have subsided. Take OTC medications, such as acetaminophen or ibuprofen, to relieve pain, fever, and sore throat. Practice good hand hygiene and avoid sharing utensils and toothbrushes with others to prevent the spread of the virus. Most people get mononucleosis only once in their life, but in rare cases, the infection can return with mild or no symptoms. If you have a weakened immune system as the result of pregnancy, an organ transplant, or HIV, the virus is more likely to reactivate in your system. Is There a Mononucleosis Vaccine? Currently, there is no FDA-approved vaccine that protects against mononucleosis or the Epstein-Barr virus, although there are some in the advanced stages of testing and development. In early 2018, researchers from the Fred Hutchinson Cancer Research Center at the University of Washington discovered a human antibody that blocks infection by the Epstein-Barr virus, which they say will aid in the development of an effective vaccine. Scientists around the globe are taking a special interest in developing a vaccine because of the Epstein-Barr virus’ link to the development of various forms of cancer, including gastric cancer, nasopharyngeal carcinoma, and endemic Burkitt lymphoma, particularly in Uganda and China. abdominal pain, antibiotics, appetite, bacterial infection, balanced diet, cancer, cancer research, cancers, carcinoma, diet, extreme fatigue, flu, forms of cancer, gastric cancer, healthy balanced diet, hepatitis, immune system, infection, inflammation, lymphoma, memory, mortality, muscle, muscle aches, pain, physical activity, relieve pain, sore throat, stroke, viral infection, virus.